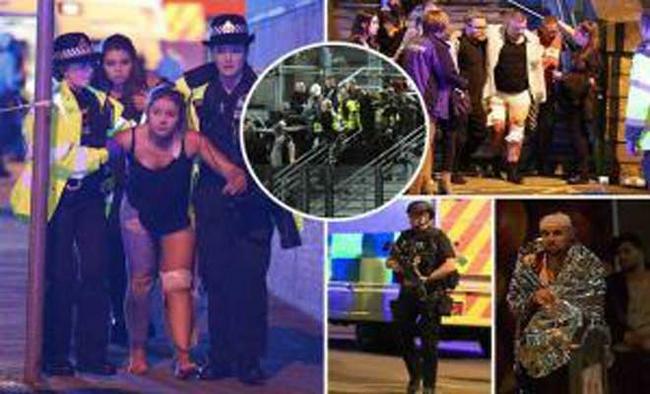 Manchester: At least 22 persons, including children, died and 59 were injured in a suicide terror attack that hit Manchester Arena on Monday night just as a concert by American pop singer Ariana Grande had ended. 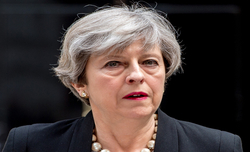 British Prime Minister Theresa May has condemned the "appalling terrorist attack" that comes two months after the Westminster attack. Manchester Police Chief Constable Ian Hopkins confirmed that a male suicide bomber is suspected to have carried out the attack in the foyer of the Arena building as 20,000 fans were streaming towards the exit doors. The explosion, the second to hit Manchester city in 21 years, took place around 10.35 p.m. (local time) - weeks ahead of the general election in the UK on June 8. All national general election campaigning has been suspended. May spoke to main opposition leader James Corbyn and said that election campaigns will be on hold until further notice. May will chair a meeting of the government's emergency Cobra committee later in the day. Grande, who had just finished the first of three scheduled UK performances when the blast hit, was not injured, a team member confirmed. She tweeted several hours later: "Broken. From the bottom of my heart, I am so so sorry. I don't have words." Home Secretary Amber Rudd said the attack was "barbaric, deliberately targeting some of the most vulnerable". Hopkins says the attacker died in the explosion and was probably acting alone. Investigations are on to establish if he was part of a network. The attacker was "carrying an improvised explosive device, which he detonated causing this atrocity", he said. At least 60 ambulances attended the scene of the blast, as over 240 distress calls were received. The Manchester Royal Infirmary Hospital was blocked off to all but essential staff. 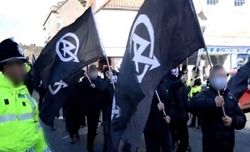 No group or individual has so far claimed responsibility for the attack, but supporters of the Islamic State (IS) terror group were seen celebrating the blast on social media, the media reported. Calvin Welsford, an 18-year-old concertgoer, said he heard a "loud bang" a couple of minutes after Grande's performance had finished. 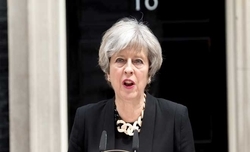 In a statement, May said: "We are working to establish the full details of what is being treated by the police as an appalling terrorist attack. All our thoughts are with the victims and the families of those who have been affected." Labour Party leader Jeremy Corbyn tweeted: "Terrible incident in Manchester. My thoughts are with all those affected and our brilliant emergency services." Indian Prime Minister Narendra Modi, condemning the attack said "our thoughts are with the families of the deceased and prayers with the injured". The US Department of Homeland Security said it was "closely monitoring" the situation. It said the department had "no information to indicate a 'specific credible threat involving music venues in the US'." Scottish First Minister Nicola Sturgeon, condemning the attack, said she would convene the Scottish government's Resilience Committee on Tuesday morning to "consider any implications for Scotland". 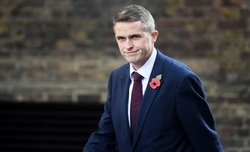 The Scottish National Party announced that it will suspend a planned manifesto launch scheduled for Tuesday. Hotels and homes in Manchester opened their doors to people who could not get home due to an area lockdown. Within an hour of reports of the blast, people began offering spare rooms and beds to people stranded in the city using the hashtag #RoomForManchester. Taxis and local people offered free rides to those affected. Social media posts from the scene showed panicked concertgoers running down the arena's stairs in an attempt to get away. Charlotte Campbell told CNN that her 15-year-old daughter Olivia had not been in contact since the explosion. "We've tried everything we can. They're telling us to wait by the phones. Her dad is out looking. It's the most horrible feeling ever, to know your daughter is there and you don't know whether she's dead or alive," she said. Eyewitness Karen Ford had taken her 13-year-old daughter to the concert. "It was mayhem on the street, there were children crying, trying to get in touch with parents, parents on their phones trying to contact their kids," she said. Universal Music Group, the parent company of Grande's Republic Records label, posted on Facebook: "We are deeply saddened to learn of tonight's (Monday night) devastating event in Manchester. Our thoughts and prayers are with all those affected by this tragedy." Musicians such as Ed Sheeran, Nicki Minaj, Katy Perry and others offered supportive tweets. "My heart hurts for my sister, Ariana and every family affected by this tragic event in the UK. Innocent lives lost. I'm so sorry to hear this," Nicki Minaj tweeted. The Manchester Victoria train station located close to the Arena was shut down on Tuesday, UK National Rail announced. Leader of Manchester City Council Richard Leese said the city was "proud, strong and we will not allow terrorists who seek to sow fear and division to achieve their aims". In June 1996, an Irish Republic Army (IRA) truck-bomb exploded not far from the Arena that left hundreds injured.